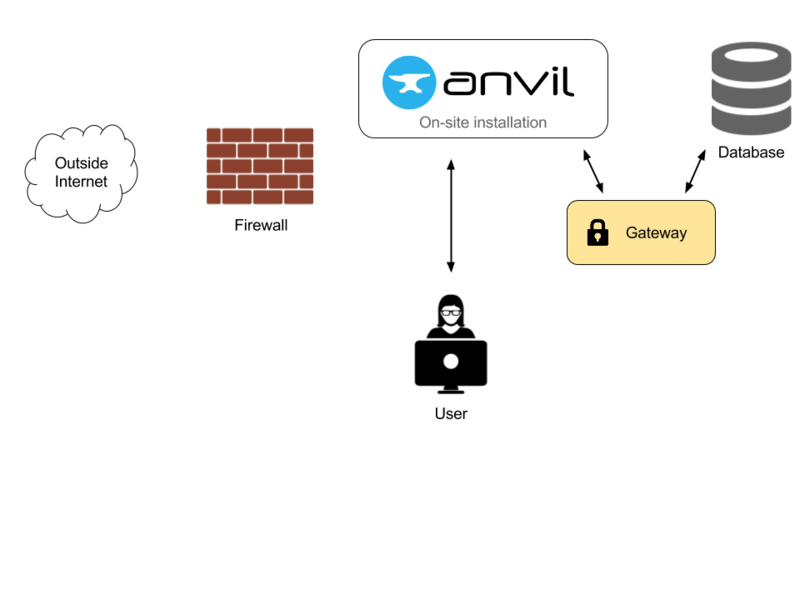 Anvil is, by default, a cloud-hosted service. This makes it incredibly easy to create web-apps that are live in the cloud, accessible from anywhere, and integrate with other cloud services. 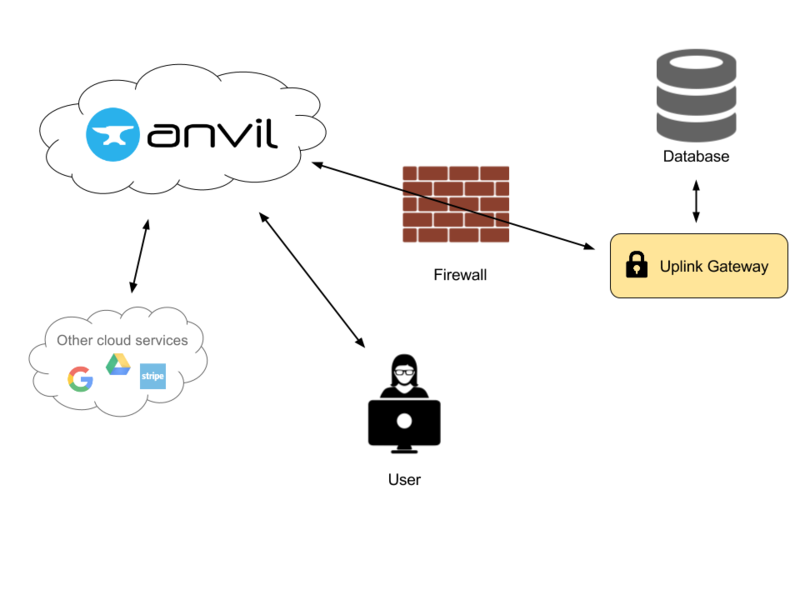 The Anvil Uplink is available to all users, and does not store any data in the Anvil cloud. To learn more, watch our 4-minute video or read our documentation. Certain enterprise users, however, require more assurance. For example, organisations dealing with healthcare data may not transfer patient records to third-party services without special agreements. An on-site Anvil installation requires no connection to the outside internet, giving you maximum assurance that your data is under your control. Anvil On-Site Installation runs as a Docker container. It typically takes less than five minutes to get Anvil On-Site working on your network - and Anvil staff will be there to help you every step of the way.